When investing in precious metals, most people immediately think of gold as their only option. But, silver has been used as currency for just as long. It is also more affordable than gold and even though prices are more volatile; it has always tended to outperform gold and many other asset classes. We are in the biggest debt crisis in history which is only being exacerbated by the expansionary monetary policies of the major central banks in particular the US Federal Reserve, the European Central Bank, the Bank of Japan, the Bank of England, The Peoples Bank of China and the Swiss National Bank. Today’s policy makers are compounding the problem by pilling more and more debt on top of an existing debt mountain. History shows us that this type of action leads to the debasement of currencies which will lead to an inflationary environment. We are in a world of unlimited credit creation that will end in the ultimate financial bubble. Whenever the value of fiat currencies became unreliable, governments and individuals turned to the stability of precious metals to transact day-to-day business. But, gold’s high value-to-weight makes it impractical for daily transactions. Silver on the other hand, is a very convenient medium of exchange. When it comes to silver, it’s the world’s oldest and best form of money. It’s what lured the conquistadores to the New World. It was used in the first coins when the U.S. won its independence from Great Britain. Silver is a rare and highly versatile precious metal and few individuals know that of all metals silver is unique. It is the most electrically conductive metal known and is used in more than 10,000 commercial applications. It is used in batteries, bearings, electronics, digital technology, medical instrumentation, photography, silverware, dentistry, solar energy, and automotive parts. In addition, it is also an important chemical catalyst. Silver is malleable and shiny, it is used in mirror coatings and electroplating. Silver can also be fashioned into polished jewellery. Silver is also a powerful anti-bacterial agent. The ancient Phoenicians used it to keep water clean, but this special property of silver has never been so widely used as it is today. Nano silver is made up of minute particles of silver that can be spread over large surface areas to prevent microbial growth and maintain a sterile environment. Some of the many applications include medical bandages to dental alloys to food packaging. Silver is nature’s finest germ killer. And, thanks to recent technological development, the newest forms of silver kill germs even more effectively than synthetic pharmaceutical drugs… and without side effects! Only a very small percentage ever gets recycled because the cost to do so is simply too much. There is no replacement for silver in its present role as an industrial precious metal. Very few people are aware that the world is running out of silver. The world is consuming silver at an alarming rate. When measured in months of available silver, the supply of silver has diminished so fast, that while there was 140 months of available above ground silver in 1970, supply had diminished to only 50 months’ worth by 1990, and by 2010 there was only 11 months of available above ground silver to be had. It is believed that as much as 98% of the above ground silver has already been consumed. At the same time that industrial demand for silver is surging, demand for silver as an investment has grown to never before seen levels in developing nations. 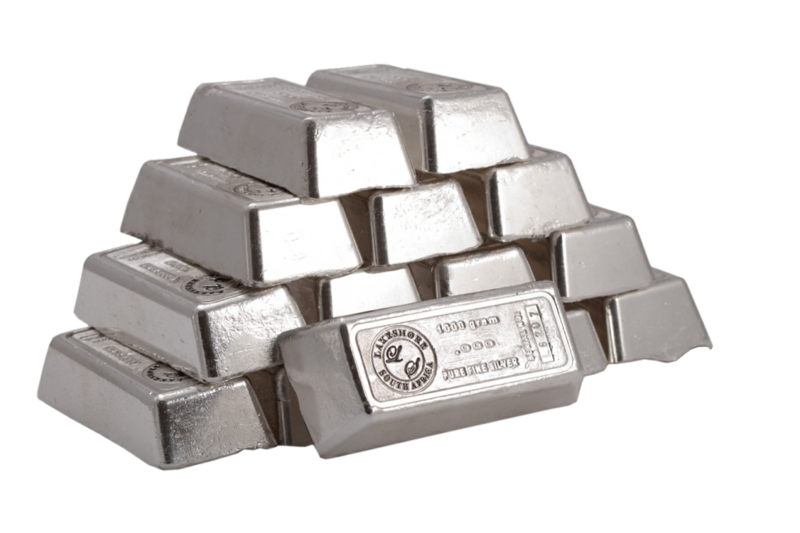 There has been a surging investment demand for silver minted coins and bars in 2014 which was widely ignored by most of the main-stream media. Both the US and Canadian Mints have seen dramatic increases in the sales of their silver bullion coins. 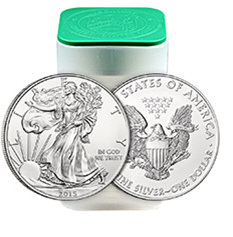 In 2013, the US Mint sold 43.475 million ounces of American Silver Eagle coins and in 2014 it sold 44.006 million. This huge increase in sales tells us that more Western investors are coming to the realisation that holding dollars is more reflective of accrued debt than representative of amassed value and that holding physical silver is an essential part of protecting wealth. Both Chinese and Indian investors have taken to buying silver due to its low price when compared to gold. India’s silver imports hit another record high in 2014. According to the latest GFMS Thomson Reuters data, last year India imported a record 6,842 tons of silver, which represent an increase of 18% over the previous year. In value, however, the import bill fell, owing to the decline in silver prices. Silver imports in 2014 were worth $3.46 billion compared with $3.64 billion in the previous year. So, as investor demand increases so is industrial demand. This double demand with decreasing supplies is the perfect cocktail that will send the price of silver sky-rocketing. So far in 2015, we have seen increasing turmoil in the currency markets. And, many countries are paying a negative rate of interest to borrow money! The end game of this on-going currency war is that all fiat currencies will be debased. And, a true flight to quality will accelerate — with assets fleeing depreciating currencies and piling into silver. The best way to own physical silver is to buy silver bullion coins ( American Silver Eagle, Canadian Silver Maple Leaf, Mexican Libertads, Austalian Koalas and British Silver Britannias) and silver bullion bars from reputable dealers and well recognized refineries and mints. Limited edition medallions, commemorative coins and proof sets should be avoided as these products are overpriced as sellers try to claim that they are rare or special in some way.